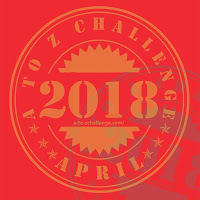 I thought I'd give myself a week off from blogging after the A to Z challenge, and all of a sudden, it's been two weeks and counting. That's May for you! Last week, I finally gave in and bought a steam mop, which uses only hot water to clean and sanitize. After I finished the floors in record time, with zero sticky feet, I held the mop tenderly in my arms and asked where it had been all my life. The point of this tale of domestic drudgery is that it got me to thinking about the concept of working smarter, not harder. That familiar phrase is one of those business-speak platitudes I've largely ignored because I like to think I'm special and above such things. But now, thanks to my new best friend Moppy, I'm looking at my life and wondering how else I can work smarter, not harder. So, I did what any diligent modern person does, and I googled "work smarter, not harder." Dozens of tips popped up. Many of them were familiar to me and might be to you, as well. Delegate. Follow up. Stay off the internet. Get a good night's sleep. Restrict how many times you check email. Understand the value of your time. Make a "to-don't" list for things you shouldn't waste time on. I love this tip, which is credited to Tom Peters, because, for me, seeing something written down is much more effective than my usual nagging mental loop. Carry a notebook and pen, because you never know when inspiration will strike. Hey, if it was good enough for Thomas Edison, it's good enough for me. Plus, I won't waste a lot of mental energy trying to remember all the ideas I forgot. Be quick but don't hurry. This comes from famed UCLA coach John Wooden. It resonated with me because I know that when I'm doing something at a comfortably quick pace, I'm efficient and energetic. When I have to hurry, however, I feel a little frantic and get sloppy. Establish opening and closing rituals for your work day. Give your brain consistent cues to tell it when to start work...and when to quit work and sneak off to watch The Handmaid's Tale. Spend ten minutes a day laughing out loud. Laughter reduces stress hormones and increases oxygen to the brain, both of which do wonders for productivity. All in all, these are easy things I can incorporate into my life, but I'm still open to suggestions. How do you work smarter, not harder? Hmm. That mop sounds perfect, must look for one. I apply the work smarter thing to my cooking. Keep it simple, maximum reward for the minimum of effort. I do carry a notebook an$ pen, but am more likely to use my iPad to write on. Oh, I need to try that with cooking. More steps means more things that can go wrong! I totally agree with you on the steam mop thing, but for me, my *I love you* moment came when I finally got a dishwasher. I'm sure my husband was jealous of it for a while, lol. Love the idea of a "to don't" list. One of my "working smarter" strategies is each night before I go to bed I write down everythign I want to achieve the next day and then write them in order of priority. Then I don't waste time rushing from thing to thing, or forgetting something, or getting to the end of the day thinking I haven't achieved anything because the important stuff didn't get done. That’s some hung I have been known to do at work. Of course, there is the classroom timetable, but the library to-do list needs writing down and prioritising. I'm one of those people who has been reading productivity and time management books since I was 11 - yes, there are people like that. We usually try to hide our geekiness. Anyway, like you, I find most of the tips for working smarter not harder are a lot repetitive and, dare I say, a bit trite. I really like the more unusual ones you've highlighted. I'm getting better at my to-don't list. Just yesterday I decided not to put mulch on the gardens this year. Too much work, too much money and, almost, too late in the season. It was so satisfying to transfer it from the to-do list.